Some homeowners worry about how the weather can affect the installation. Fortunately, the quality caulking, adhesives and other materials we use will not be affected. They are designed to perform under all weather conditions. In addition, we will replace your windows in a way that keeps you comfortable throughout the project. We won’t stop halfway through and leave your interior exposed to the cold. The contractor that installs your new replacement windows has a big effect on how well the new windows will perform. Mistakes during window installation can lead to your windows failing early or cause your windows to leak air. You should research your contractors and interview them thoroughly. For best results, choose an established replacement windows company like Kroll Construction. We recommend preparing your home for installation to prevent any delays or problems. Talk with your contractor and arrange how they will use your home in advance. Set traffic lanes and which parts of your home they have access to. You should also remove window treatments and keep your children and family pets out of the way during installation day. ENERGY STAR® rated windows are perfect for the winter season. They can improve your home’s energy efficiency and they can have a noticeable effect on your energy bills. You have to be certain that you are getting the energy-saving windows you paid for. Make sure to double-check the paperwork that comes with your new windows during your project. Make sure the ENERGY STAR stickers and other labels are on the window and read your window warranty. Our replacement windows can improve your home’s energy efficiency and make your interiors feel more comfortable during the colder months. 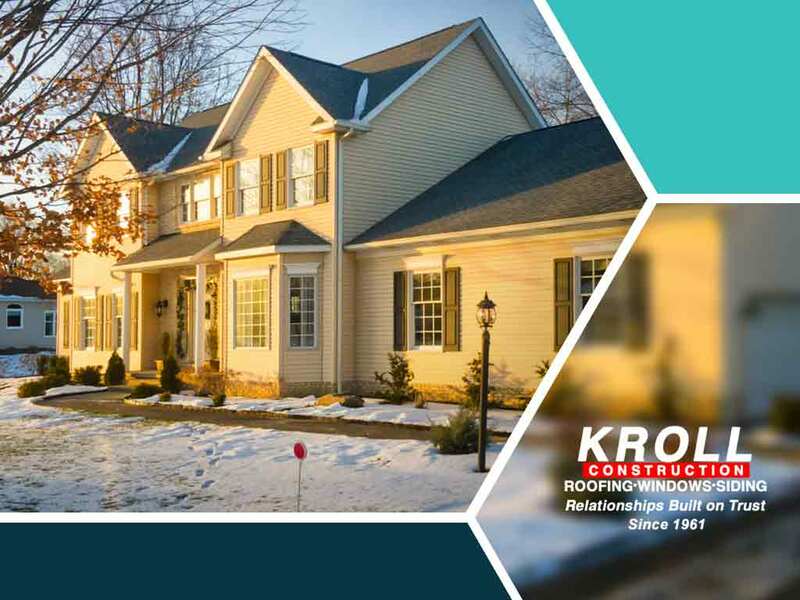 Kroll Construction is one of the leading window companies in our area because we care about our customers and we are determined to provide our first-class service from start to finish. Call us at (844) 688-9632 to learn more about our services and products or to ask for a quote. We serve Detroit, Michigan, and nearby areas.